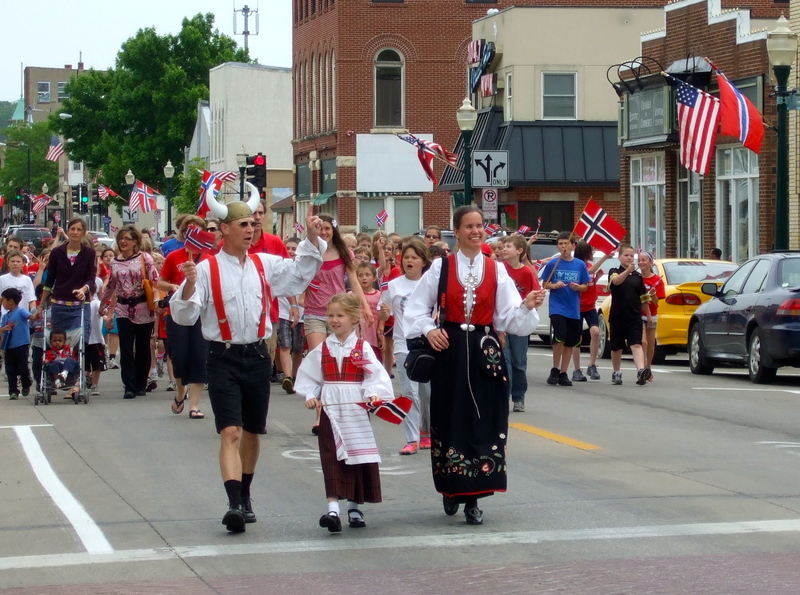 I happened to be in Decorah, Iowa last week on Syttende Mai, Norway’s Constitution Day. 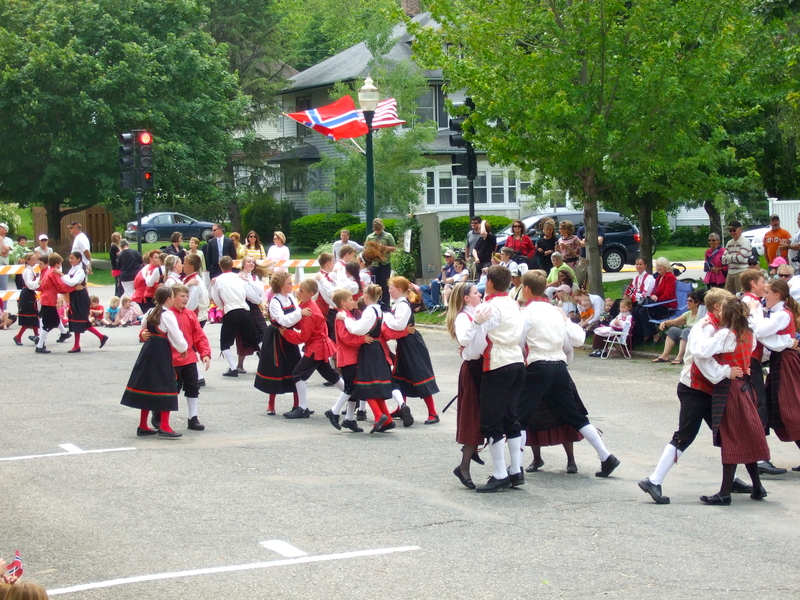 Decorah goes all out with a Nordic Fest in July, so I knew the Syttende Mai celebration would be low-key. It was, and it was delightful. 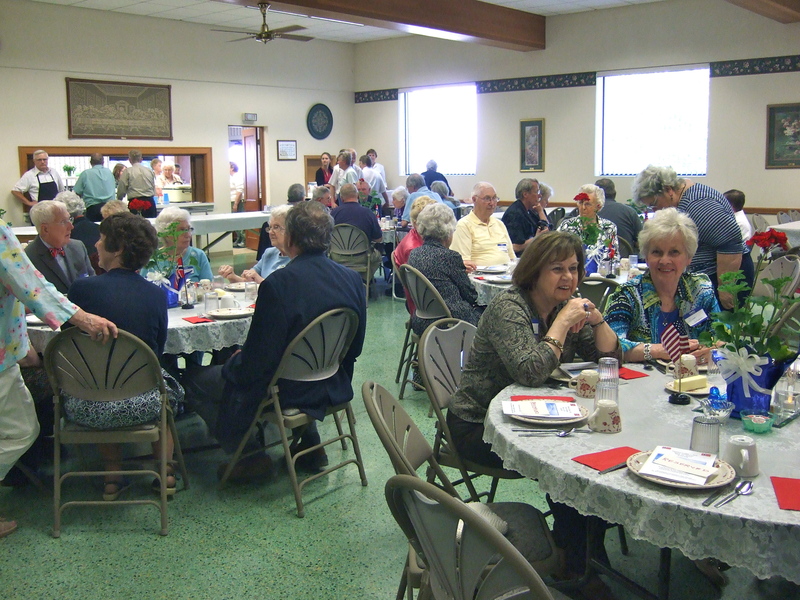 I was lucky enough to be invited to attend the local Sons of Norway – Valdres Lodge Norwegian Constitution Day Dinner on May 15th, which was a treat even without reference to the holiday. First, I met a lot of lovely people. Gathering in the fellowship hall. Second, I love any gathering that includes traditional foods. 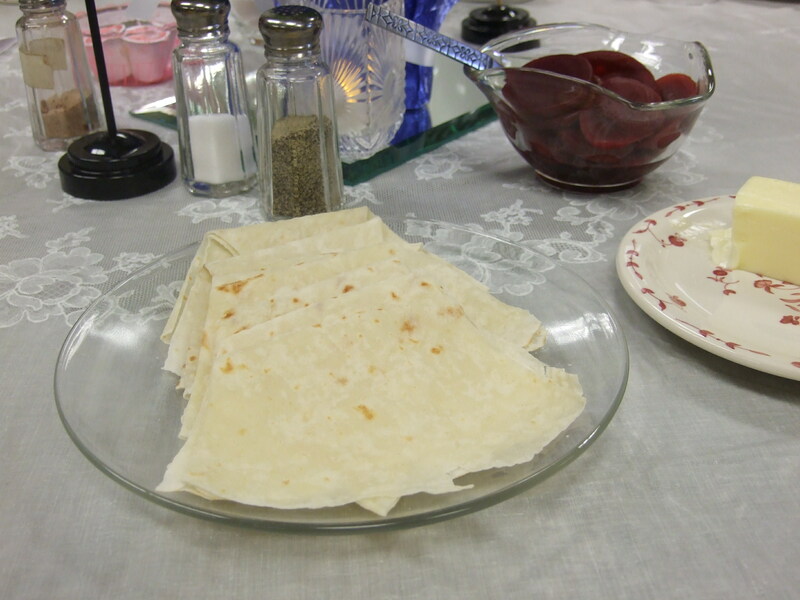 Lefse, which I like best spread with a little butter and brown sugar, then rolled up. Several options for dessert, all traditional Norwegian favorites. 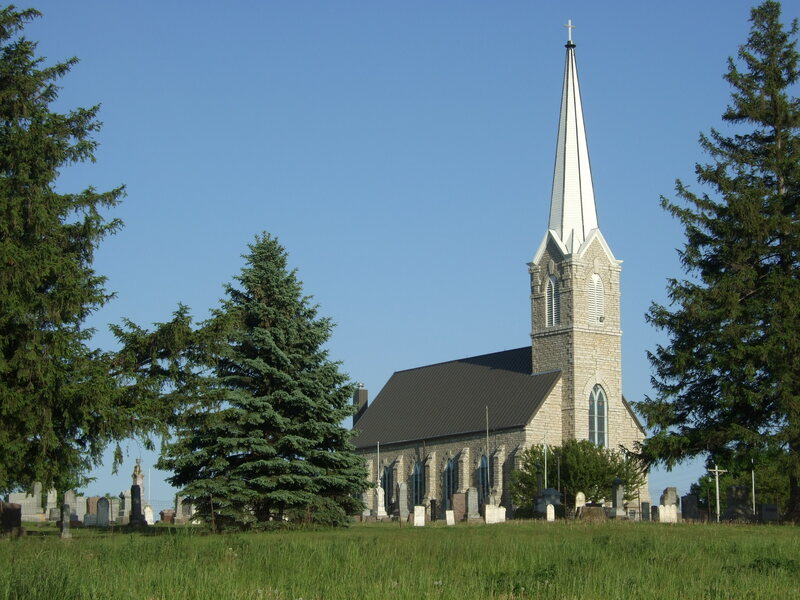 And third, the meal and meeting took place at the beautiful Washington Prairie Lutheran Church outside of town. This was the congregation (then known as the Little Iowa congregation) that called Ulrik Vilhelm Koren to serve as pastor in 1853. Ulrik’s wife Elisabeth accompanied him, and The Diary of Elisabeth Koren, 1853-1855 is a must-read for anyone interested in the immigrant experience. The church is on a hill, surrounded by farmland. I can imagine people looking up from their labors and taking comfort from seeing the spire. The modern church clearly cherishes its history. And the people I met at the dinner do too. I’ve visited ethnic festivals in towns where the celebration has become part of the community’s heritage, more so than the people who actually live there now. Not so here. After-dinner entertainment included a beautiful mini-recital by Rachel Storlie. On to May 17th. 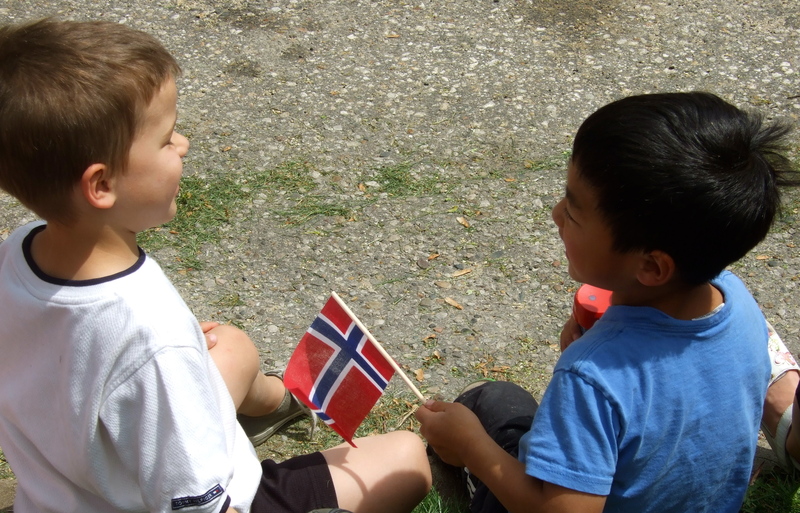 One of the things I like about Syttende Mai is that it is a non-military holiday, and festivities often focus on children. 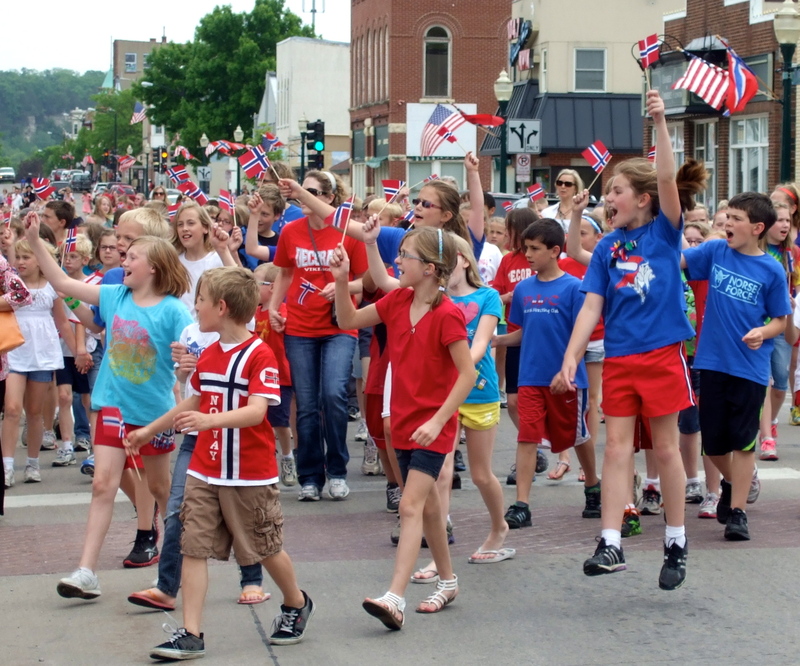 In Decorah, children celebrate with a traditional parade from the courthouse to Vesterheim Norwegian-American Museum. Perfect weather for a parade! 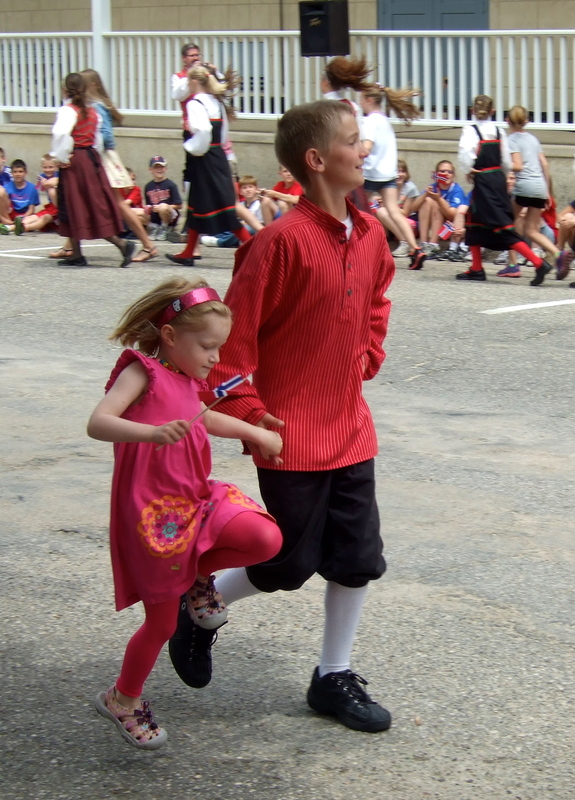 The parade was followed by a street performance by The Nordic Dancers of Decorah. Students audition for the Nordic Dancers in the third grade, and make a ten-year commitment! The Junior and Senior Nordic Dancers performed some of the thirty-plus traditional folk dances in their repertoire. The dancers also invited anyone in the crowd to come out and join them for a dance. Later that day came a wonderful climax to the festivities: opening of a formal exhibit in one of Vesterheim’s galleries featuring the work of 4th grade students. 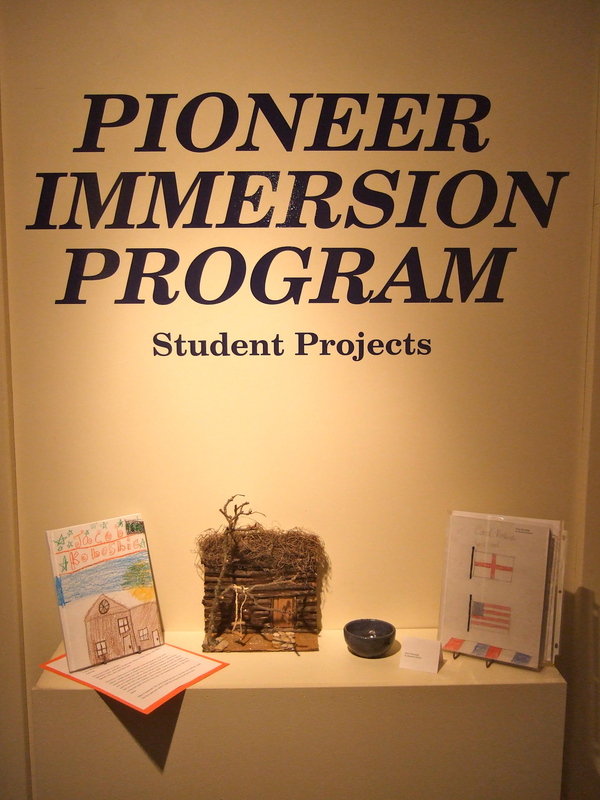 They had spent six weeks visiting the museum, studying the immigrant and pioneer experience. 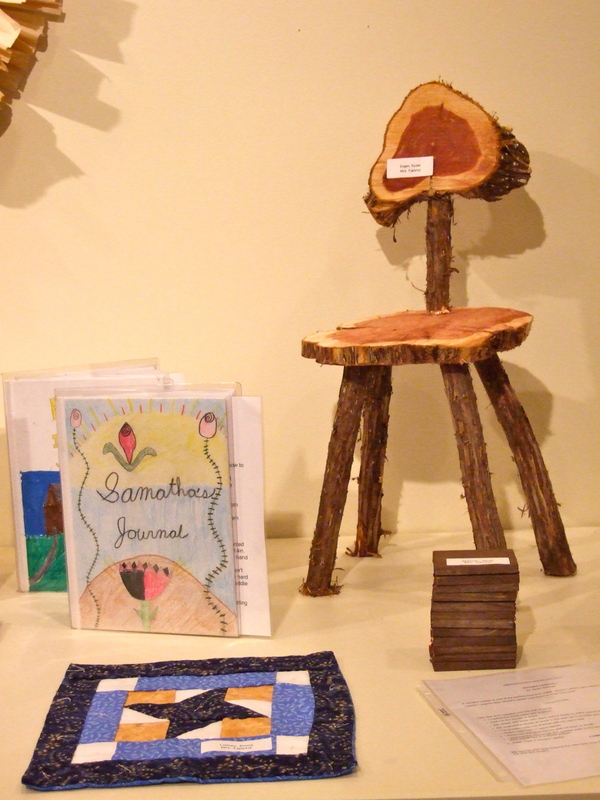 How many fourth graders get to see their work formally displayed in a museum? Pretty cool. 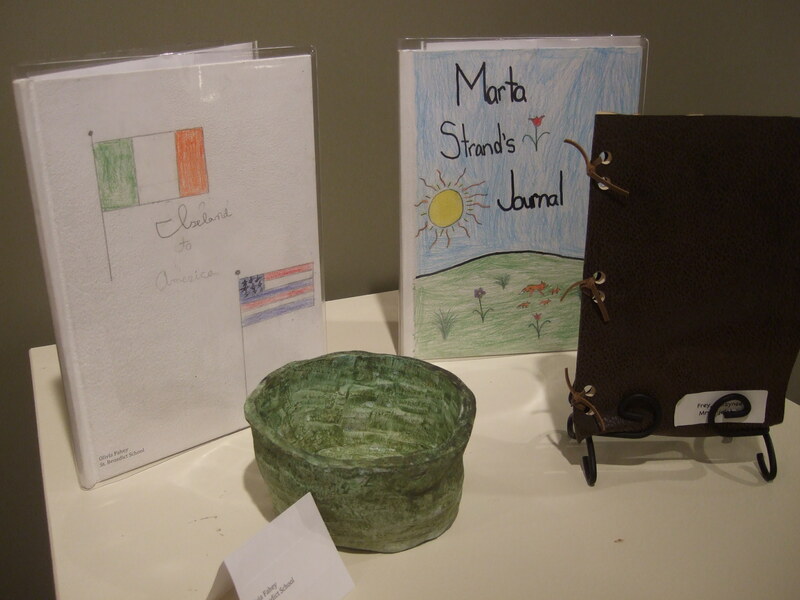 Each student then chose a special project, and wrote an immigrant diary. I was impressed with the projects! 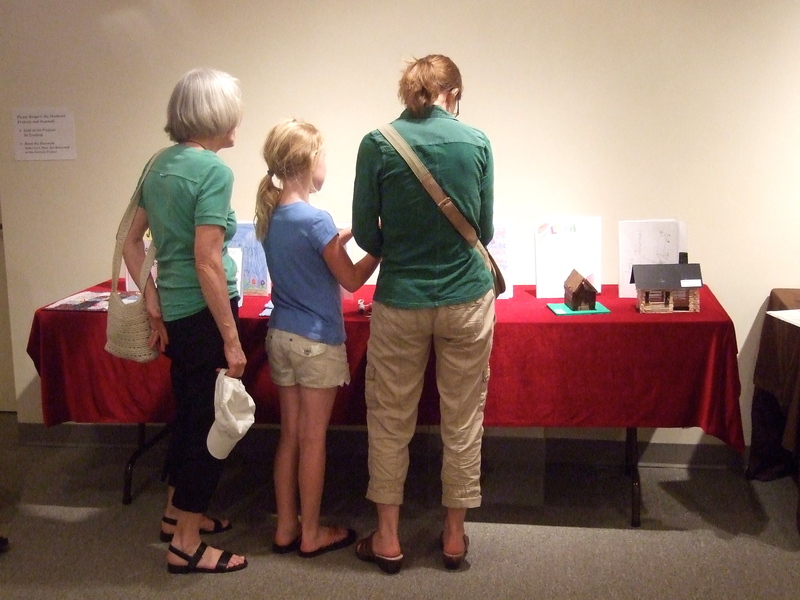 Many kids mentioned that working on their project with a parent or grandparent was the best part of the experience. They also became comfortable spending time in a museum. 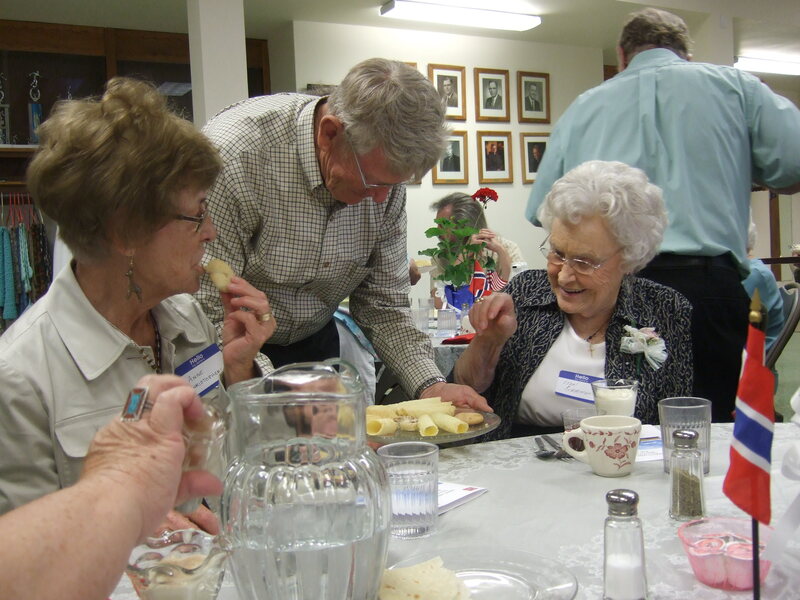 Intergenerational sharing was one of the program highlights, both during the project phase and at the grand opening. Some of the kids focused on Norwegian culture and heritage for their projects. Others used Norwegian studies as a springboard to delve into their own cultural identity—whatever that might be—or a group that interested them. 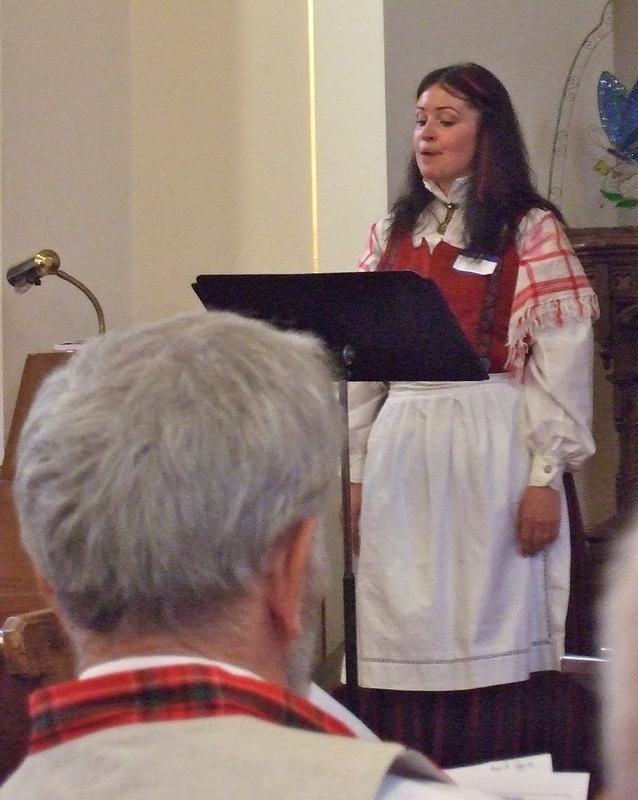 Which is what visiting places like Vesterheim Norwegian-American Museum, or a Sons of Norway Lodge’s Syttende Mai celebration, so special—even for non-Norwegians like me. 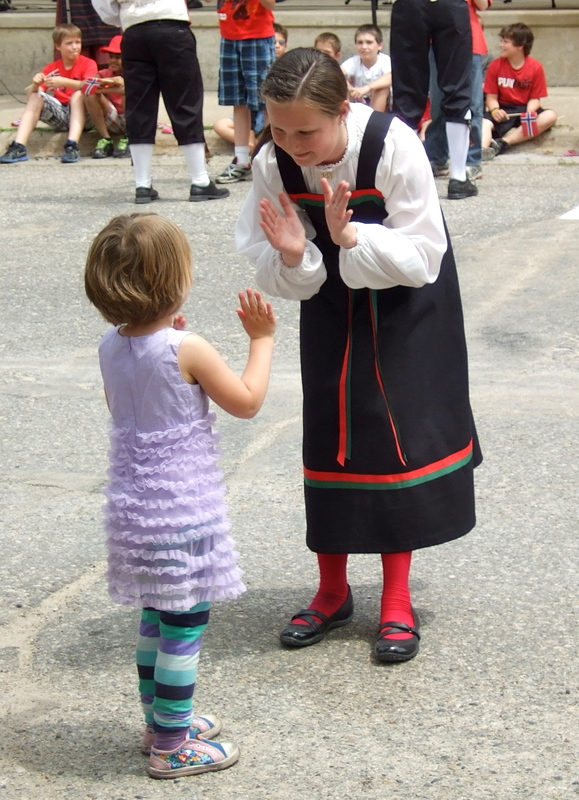 It’s fun to explore the traditions and heritage preserved by descendants of the Scandinavian pioneers who settled the area in the 19th century. It’s also meaningful to consider how their stories reflect our own.